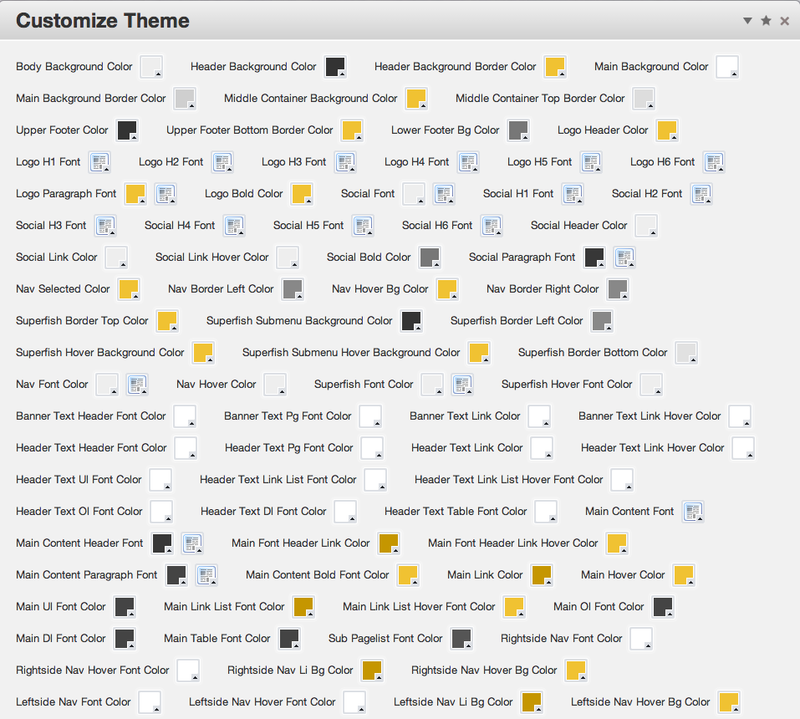 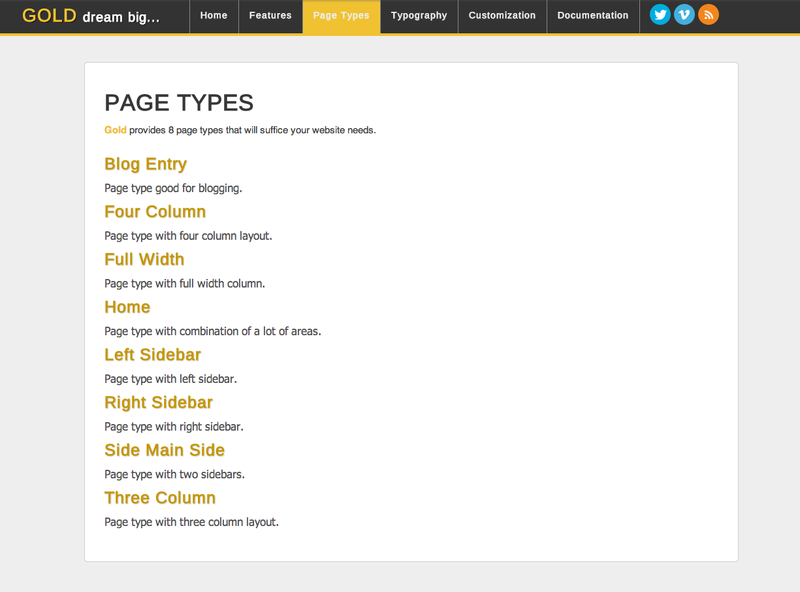 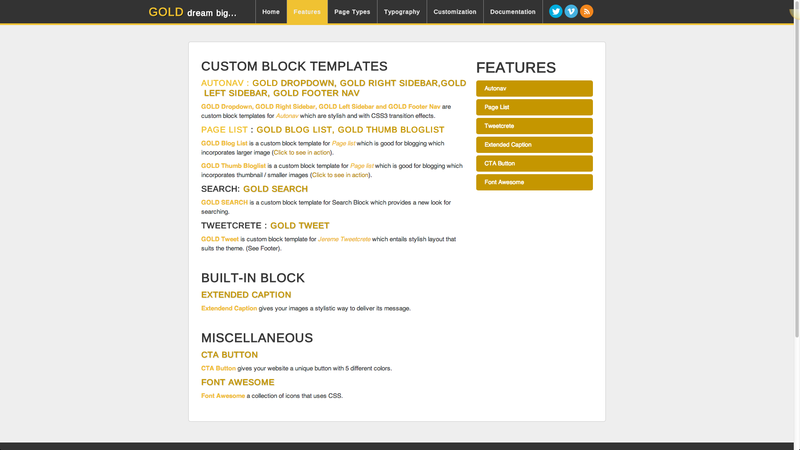 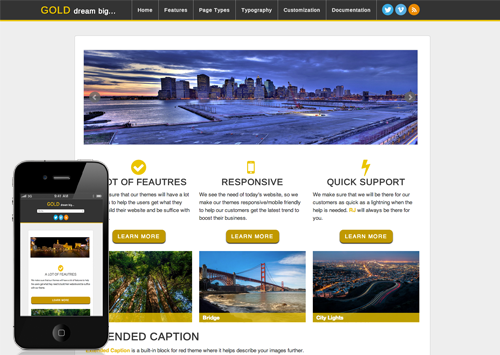 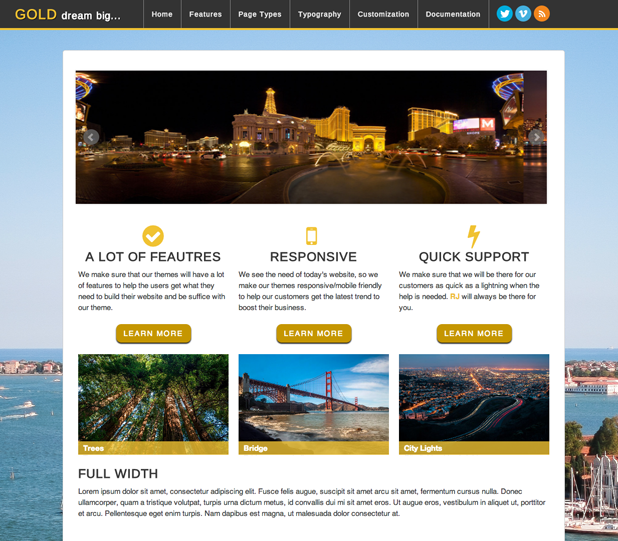 Gold is modern responsive theme. 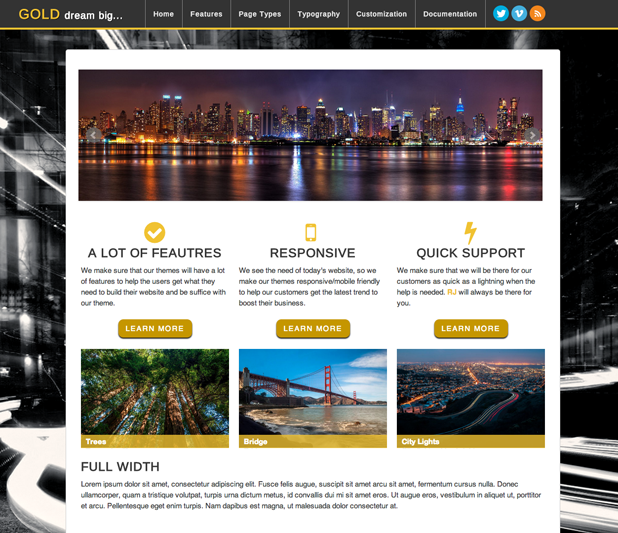 You can add a body background image and is built using HTML5 and CSS3 it is good for business, organisation, portfolio, technology, magazine, blog and everything. 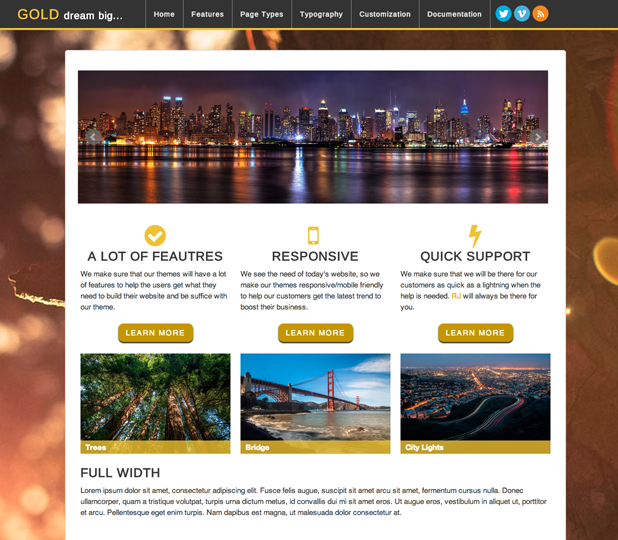 It is responsive/mobile-friendly so you don't have to worry for your site to look good in mobile devices, Red will do it for you. 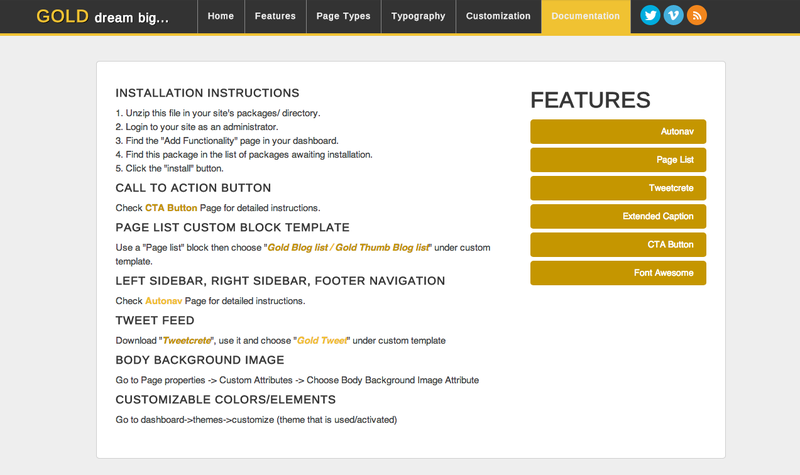 Lastly, It has 100+ customizable elements which you can edit few clicks from your dashboard and it supports Concrete 5.5+ and 5.6+.